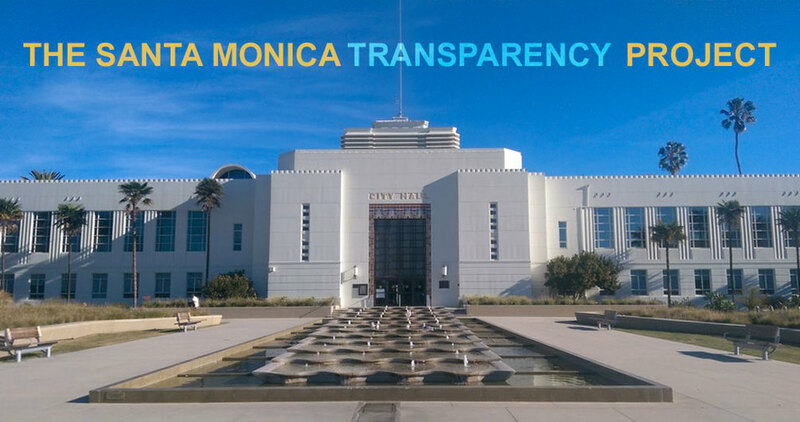 The Transparency Project is an all volunteer group of Santa Monica residents concerned about openness and accountability in our City government and politics. We believe openness and accountability are the cornerstone of a healthy democracy. We use public records to reveal political campaign contributions, compliance with good governance ordinances, lobbying by special interests, conflicts of interest, and city revenues/expenditures/capital improvement projects.